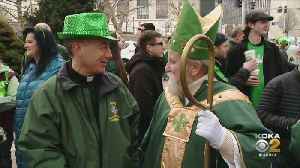 Patrick ’s Day is coming up, and that also means Saturday is the 40th Annual Alltech Lexington Saint Patrick's Parade and Irish Festival. The William Sutherland Reid Pipes and Drums is performing, so we decided to have them come in and teach us a thing or two about the bagpipes. C1 3 is coming up... and that also means saturday is the 40th annual alltech c1 3 dancing is the you you found me on the day coming menominee hundred and 40 annual all like to six parade and a respectable we got william sutherland read pipes in from performing this weekend, so we decided to have them come in and teach us a thing or two about the back i today we got kevin murray here kevin, thank you so much for joining us and giving us a little the you made that entrance you are your you have never been laid at the news that people are a really you are new to the back i thought you plan for getting bilateral 35 bilateral 3540 years while i had started once or twice have false for and then the one day of work, i heard guy talk about it said that i like to do that to them so he got in touch with his the right major path of the be and that he was in this is a columbus, ohio. As i started taking lessons and then moved t the detroit area and found a been there and continued take the lessons called the play was fun. You that's awesome you know i think that it really is something that you you're always doing is is always advancing whatnot. Now the question because what yesterday we had faulty here. 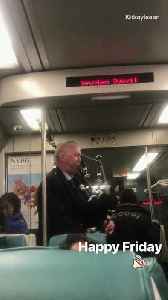 Our daughter stuart from downtown and is there a difference between the irish bagpipes in the scottish bagpipes. Well, this is a great highland bag pipes to is what this is called an which means it really is from scotland but is played in both countries because of the celtic background of the people in both scotland and ireland, so there used to be an irish band here like intern and job they play the same bagpipes is i'm playing here today. Now there is another kind of bagpipes call the only and pike which is more irish okay i'm is a little social enjoyment and with that went to have a bellows under the right arm rather than blowing into a and bag under the like can squeeze in your exactly on the sambar i mean your name in the snow very interest seen instrument to quickly i know we are going to air inside the you bible and to hear there is a on- way valve right here so that i can take a breath and i don't lose the pressure on and then i played the melody down here is the plan will be here to the catholic order part will i but never tried that i think your way about you and then there's a read here. That's a lot like an oboe but soon read the double read all interesting out here is to sell comes out here. From what i'm the melody okay and then the use of drones to tender drones and based wrote and they just make a constant sound all the time they don't change the no cause i just ornament yeah i mean we got the court cannot lie, he means is just how these together so that will flop abou with you i feel like we should also can you little attention to your whole entire okay you got some stellar socks on right now and you will file medleys group of the you can see little bit of the kilt is not a skirt you you will on here is called the tarp okay and this particular turton is the turton so a different plans have different unique pattern you know you are my you you you you you exactly how we can watch you play where we want to play earlier okay so well. We have all cindy reed who is the up right major rbn all her father was one the third of the band i 1975 okay and then relate to you websites okay there is up on th screen there are website for th parade and then they say email address for sandy okay you can contact her and needed work things are you you will learn t play i it is good to get someone instructors someone to teach rather than just trying to pick up there are sums all here i you are the when you're showing a the backlight i having you created. What once was a sopping mess turned into a sea of green beer at Sully's Irish Pub on St. Patrick's Day. 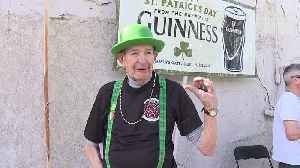 The popular pub closed temporarily in February after frozen pipes burst, causing flooding in the..
Frank Parks watches the Boise Firefighters Pipes & Drums every year. This year, Parks lost his wife, but the firefighters welcomed him into their family. 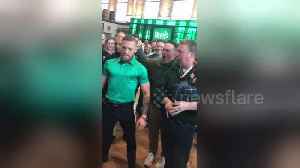 The St Patrick&apos;s Parade marched through New York City yesterday (March 16), with a good deal of pomp as marching bands, celebrities, state employees and cheering everywhere. 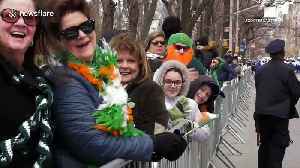 The St Patrick's Parade marched through New York City yesterday (March 16), with a good deal of pomp as marching bands, celebrities, state employees and cheering everywhere. 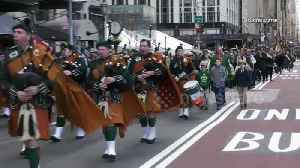 The parade walked along..
Bagpipes were ringing through the air in Pittsburgh on Saturday for the St. Patrick's Day Parade; KDKA's Paul Martino reports. The St. Patrick's Day Shamrock Party begins March 14 at the Fremont Street Experience in downtown Las Vegas.